TRAK-IT® IIIa is the most durable and user-friendly CGI available. This multi-function instrument is designed for pin pointing underground gas leaks, pipeline gas purging, and confined space applications. 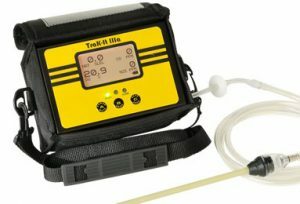 Trak-It® IIIa is designed for extreme working conditions!